Madrid, Spain – Movistar and Research In Motion (NASDAQ: RIMM; TSX: RIM) today announced availability of the new BlackBerry® Bold™ 9790 smartphone in Spain. Powered by the BlackBerry® 7 operating system (OS), this sleek and compact smartphone offers a range of enhanced communications, multimedia, productivity and social connectivity features. The new BlackBerry Bold 9790 smartphone is a fully loaded, high performance smartphone with the dual benefits of a highly responsive touch display and highly tactile keyboard. Movistar is making the new BlackBerry Bold 9790 smartphone available to all its customers with a range of promotional offers available at all retail points. Movistar is offering customers the opportunity to trade in their older BlackBerry® smartphone and use Movistar loyalty points to get a discount of €40 or more from the price of the new BlackBerry Bold 9790 smartphone. For example, a customer that signs up for a €45 per month service plan and has accumulated 80,000 points through Movistar’s loyalty program only pays €111, and they will pay €71 or less if they exchange their previous BlackBerry smartphone for the new model. Also, in the event that clients must pay more than €100 after having applied points discounts and trading in their previous phone, they may finance the purchase with payments from €20 per month and for up to 18 months, interest free. Note: new Movistar customers can purchase the new smartphone outright for €409. True to the BlackBerry Bold brand, the new BlackBerry Bold 9790 smartphone is powerful, full-featured and built with premium materials and finishes. It combines a high resolution and highly responsive touch display with a highly tactile keyboard and a precise optical trackpad, but comes in a narrow design that is easy to carry and exceptionally comfortable to hold. With the BlackBerry 7 OS and powerful 1 GHz processor, the BlackBerry Bold 9790 smartphone delivers fast, smooth performance for browsing the web, running apps, working with documents, and enjoying multimedia. It includes 8GB of onboard memory and an expandable memory card slot that supports up to 32 GB of additional storage. The BlackBerry Bold 9790 smartphone is powered by the new BlackBerry 7 OS, delivering a faster and richer user experience with improved browsing, voice-activated searches, and the ability to manage personal content separately from corporate content. It also comes with a variety of personal and productivity apps out of the box. Built-in support for Augmented Reality and NFC (Near Field Communications) allows users to connect with the world around them in fresh new ways. With the Wikitude Augmented Reality application, users can find nearby BBM™ (BlackBerry® Messenger) contacts in real-time, read reviews on restaurants close to them, or get the story behind an interesting landmark and points of interest. NFC enables many new and exciting capabilities, including the ability to make mobile payments, pair accessories or read SmartPoster tags with a simple tap of the smartphone. 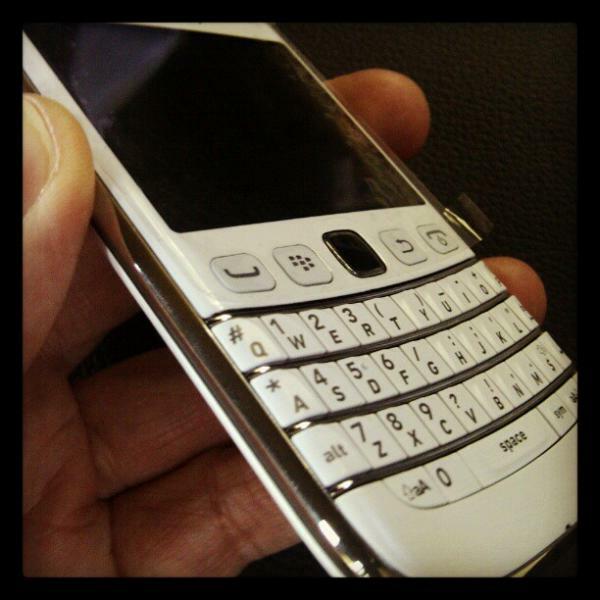 For more information about the new BlackBerry Bold 9790 smartphone, please visit es.blackberry.com. 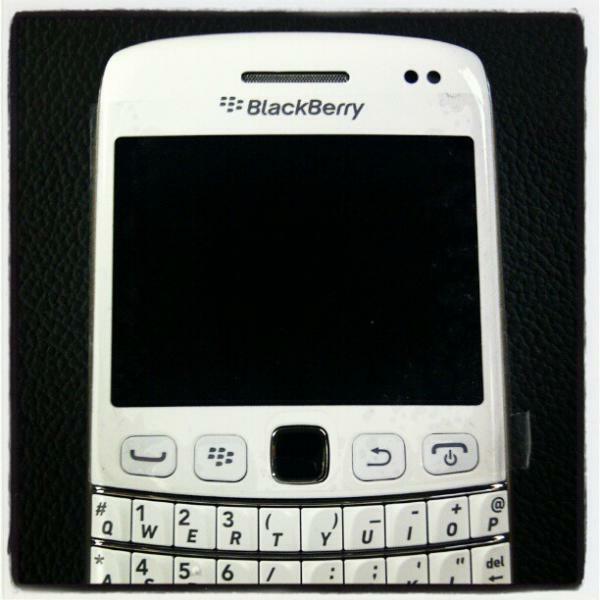 Research In Motion (RIM), a global leader in wireless innovation, revolutionized the mobile industry with the introduction of the BlackBerry® solution in 1999. Today, BlackBerry products and services are used by millions of customers around the world to stay connected to the people and content that matter most throughout their day. Founded in 1984 and based in Waterloo, Ontario, RIM operates offices in North America, Europe, Asia Pacific and Latin America. 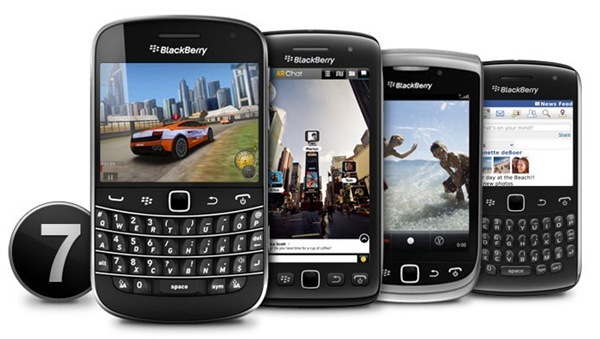 RIM is listed on the NASDAQ Stock Market (NASDAQ: RIMM) and the Toronto Stock Exchange (TSX: RIM). For more information visit www.rim.com or www.blackberry.com. Forward-looking statements in this news release are made pursuant to the “safe harbor” provisions of the U.S. Private Securities Litigation Reform Act of 1995 and applicable Canadian securities laws. When used herein, words such as “expect”, “anticipate”, “estimate”, “may”, “will”, “should”, “intend,” “believe”, and similar expressions, are intended to identify forward-looking statements. Forward-looking statements are based on estimates and assumptions made by RIM in light of its experience and its perception of historical trends, current conditions and expected future developments, as well as other factors that RIM believes are appropriate in the circumstances. Many factors could cause RIM’s actual results, performance or achievements to differ materially from those expressed or implied by the forward-looking statements, including those described in the “Risk Factors” section of RIM’s Annual Information Form, which is included in its Annual Report on Form 40-F (copies of which filings may be obtained at www.sedar.com or www.sec.gov. These factors should be considered carefully, and readers should not place undue reliance on RIM’s forward-looking statements. RIM has no intention and undertakes no obligation to update or revise any forward-looking statements, whether as a result of new information, future events or otherwise, except as required by law.